Viqarunnisa teacher Hasna Hena being sent to jail in a case filed in connection with suicide of Aritree Adhikari on Thursday. A court here on Thursday sent Viqarunnisa Noon School and College class IX teacher Hasna Hena to jail in a case filed in connection with suicide of Aritree Adhikari. Metropolitan Magistrate Md Abu Sayeed passed the order denying her bail plea when inspector Kamrul Hasan Talukdar of Detective Branch of police produced her before the court. 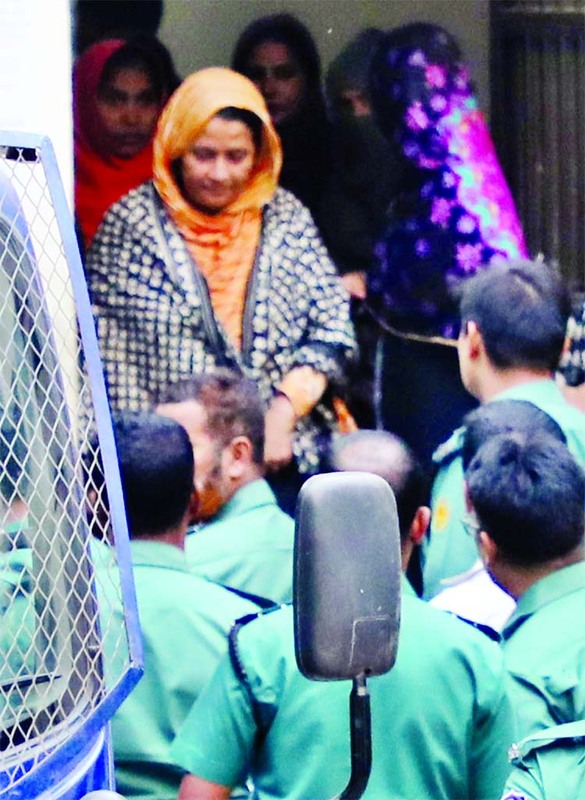 Earlier, Hasna Hena's lawyer Jahangir Alam submitted a petition seeking her bail. Detectives in a drive arrested Hasna Hena from the city's Uttara area on Wednesday night. Victim's father Dilip Adhikari filed a case against three teachers of the school.